Roof & Exterior Cleaning & So Much More! Hear from the experts at Preferred SoftWash about cleaning at your home. Find out the 7 main reasons you should choose Preferred. Don’t risk damage. Ask why our soft washing is safe for your home, roof, and more. Ready? Let us provide you with a free no obligation estimate. WHY DO OUR CUSTOMERS LOVE PREFERRED SOFTWASH? It’s a simple explanation, but the impact is huge. More than 80% of our customers are long-term ones, and we’re proud to be constantly expanding our community of satisfied home and business owners across South Carolina. Your complete satisfaction and repeat business is our #1 priority. Preferred SoftWash takes the quality and curb appeal of your property seriously. In our eyes, our customers are always #1. From exterior washing to roof cleaning, from gutter cleaning and whitening to concrete cleaning, you can choose Preferred Soft Wash with the confidence that you’re getting the best. Plain and simple. Your property is special — And we’re proud to do our part to keep it special for years to come! Whether you own a multi-unit business or a cozy home, you’ve got a long-term ally in Preferred SoftWash. Get started with a free quote today! Our pressure washing services deliver results today…. And benefits tomorrow. Preferred SoftWash proudly serves the greater Greer and Simpsonville areas with pressure washing solutions that kick start curb appeal, maintain quality, and secure the long life of your home. Every residential and commercial property should be a source of pride. Our team provides the skills and equipment to uphold your investment. Each home and business is different, and Preferred SoftWash is committed to deliver customized services that honor the one-of-a-kind nature of your property. We use pressure washing and soft washing services to restore your exterior, roof, concrete, and gutters to their ‘just like new’ aesthetic. But we also go further, since looks can only get you so far. Preferred Soft Wash pledges that our service will help your property last longer and require fewer repairs. Pressure Washing: We provide a mobile pressure washing unit that has the power to clean even the most stubborn concrete. Buildup, stains, and debris are no match for our technicians – after our service, you’ll get a spotless and safe surface. Whether you have a sidewalk, driveway, parking lot, or even tennis court in need of professional attention, we can help. Soft Washing: As the only way to safely clean your exterior and roof, Preferred SoftWash takes our namesake seriously. We pair the best cleansers with low water pressures to make your property shine. 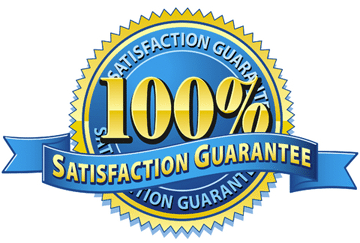 Through this safe process, your home or business will project great curb appeal and maintain quality. Every customer in Greer, Simpsonville, and the surrounding South Carolina area is unique, but they all share something in common: They deserve consistent service and exceptional results. When you choose Preferred SoftWash, you’re getting just that!